Exclusive offers on select 2018 Audi New and Demo Models. Event credits up to $9,250*. Offer valid from April 16-30, 2018. Evolve in style with The Audi Demo Event, on for a limited time from April 16th to 30th. 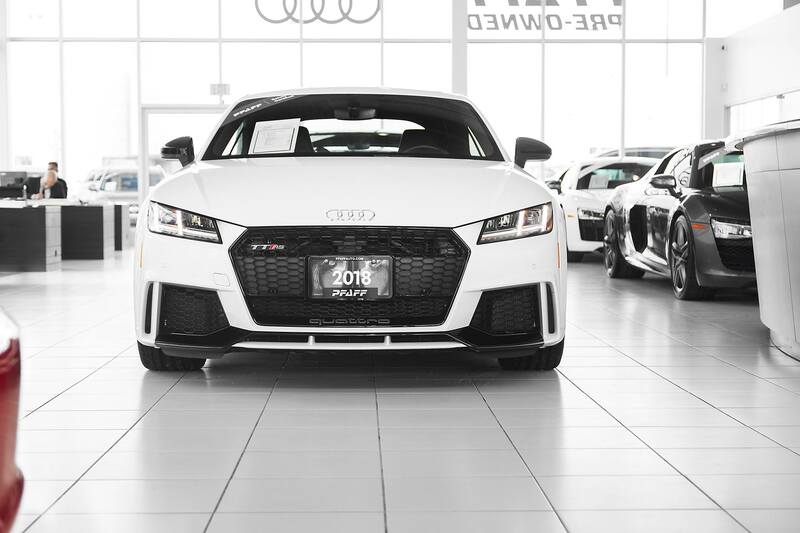 Receive exclusive offers on our curated collection of Audi models, like up to nine thousand two hundred and fifty dollars in event credit on select new and demo models. Advertised credit is available on cash purchases of in-stock new 2018 demo models. See details in store for available credits on lease and finance options. Offers valid from April 16th to 30th. * Limited time offer available on select in-stock new and demo 2018 Audi models. Audi Credit of up to $9,250 available to be applied as a discount to the MSRP before taxes on cash purchase of select new and demo 2018 A7 vehicles remaining in dealer inventory. Limited number of vehicles available; available inventory varies by dealer. Offer valid from April 16-30 and vehicles must be delivered by April 30 2018. Models shown: 2018 Audi A7 3.0 TFSI quattro Technik tiptronic with base MSRP of $78,191. Offer is subject to change or cancellation without notice. Dealer trade may be necessary. Dealer may sell or lease for less. See dealer for details. Audi AG trademarks are used under license. ©2018 Audi Canada.